January marks the anniversary of the birth of American civil engineer Gouverneur K. Warren. 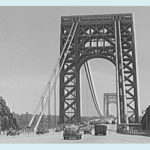 A prominent surveyor and mapper of our nation’s western territories and a heroic Union Army general during the Civil War, Warren was also the brother-in-law of Washington Roebling, a civil engineer who played a key role in the construction of the Brooklyn Bridge. Born Jan. 8, 1830, in Cold Spring, N.Y., Gouverneur Kemble Warren was named after a prominent local congressman and industrialist. In 1846, at the age of 16, Warren entered the United States Military Academy at West Point, directly across the river from his hometown of Cold Spring. In 1850, he graduated second in his class of 44. As a brevet second lieutenant in the Corps of Topographical Engineers, Warren served on several important survey expeditions, including a flood prevention survey of the lower Mississippi delta and a navigation survey of the upper Mississippi rapids. Between 1853 and 1855, he aided in a study to identify the best route for a transcontinental railroad, examining exploratory reports dating back to Lewis and Clark. In 1855, Warren helped create detailed maps of the Nebraska territory, which included parts of present day Nebraska, North Dakota, South Dakota, Wyoming, and Montana. His topographical report earned much acclaim in Congress and led to greater responsibility in future explorations. Following his survey expeditions in the 1850s, Warren returned to West Point in 1859 as a mathematics instructor. He served in that position until the onset of the Civil War, when he was named lieutenant colonel of volunteers of the Fifth New York Regiment. After seeing their first combat at the Battle of Big Bethel in Virginia on June 10, 1861, Warren’s regiment was sent to Baltimore in late July to aid in constructing fortifications on Federal Hill. Warren’s battles included the Second Battle of Bull Run, Antietam, Fredericksburg, Chancellorsville, Gettysburg, the Battle of the Wilderness and the Battle of Five Forks in the Appomattox campaign. Often referred to as the “Hero of Little Round Top,” Warren is best remembered for arranging the swift but critical defense of Little Round Top during the Battle of Gettysburg. 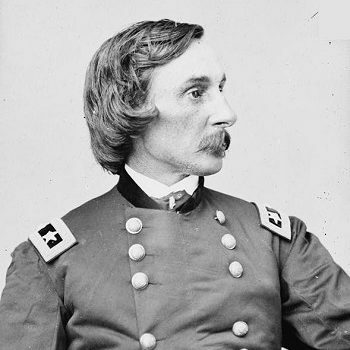 In recognition for his actions to prevent Confederate troops from seizing the heights, Warren received a promotion to major general. On Nov. 30, 1863, Warren’s cancellation of an assault at Mine Run began to raise doubts about his willingness to act offensively. Generals Ulysses S. Grant and Philip Sheridan were both of the opinion that Warren was overcautious in committing his troops. When Warren was delayed by conflicting orders in reinforcing Sheridan at Five Forks, Sheridan took the opportunity to remove him, and Warren’s subsequent service as a commander and his remaining military career were ruined. Resigning his commission in protest on May 27, 1865, Warren was reduced to the rank of major and served in the U.S. Army Corps of Engineers for 17 years. 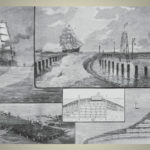 While there, he conducted surveys of the Mississippi River system, and engaged in extensive bridge and harbor projects on the Mississippi, along the Atlantic Coast, and the Great Lakes. During his post-war career, Warren repeatedly sought a court of inquiry to clear his name from the humiliation of Sheridan’s action. Numerous requests were ignored or refused until Ulysses S. Grant retired from the presidency. 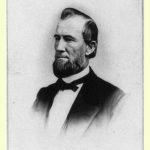 Eventually, in 1879, a court of inquiry convened, and three years later exonerated Warren, concluding that Sheridan’s actions had been unjustified. Gouverneur Warren died Aug. 8, 1882, in Newport, R.I., three months before the court’s findings were published. He was buried in the Island Cemetery in Newport in civilian clothes and, at his own request, without military honors. On the sixth anniversary of his death, a statue in his memory was erected on the field of Gettysburg at Little Round Top. 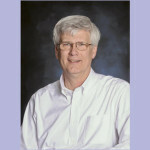 Also in his honor, The G. K. Warren Prize is awarded every four years by the National Academy of Sciences for noteworthy and distinguished accomplishments in the geological sciences.